A renowned management consultant and organizational behaviorist is the Global Chair of the Culture Transformation Practice at N2Growth and the author of The Executive Checklist. 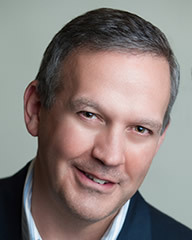 ​James M. Kerr is the Global Chair of the Culture Transformation Practice at N2Growth. He is a consultant, organizational behaviorist, lecturer and Inc. columnist. He specializes in strategic planning, corporate transformation and organizational redesign. For over 25 years, Jim has forged a different type of consulting practice – one that does its engagements “with” its clients, instead of “to” them. Whether helping larger organizations, like The Home Depot re-imagine its store operations, or advising smaller firms, like Blum Shapiro open up new markets, Jim has a reputation of making a difference. A recognized thought leader , Jim continues to provide cutting edge solutions to his clients through a strong dedication to research and study. 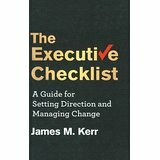 The Executive Checklist is Jim’s fourth business strategy book. His others include: The IRM Imperative (Wiley and Sons, 1989), Inside RAD (McGraw-Hill, 1991), and The Best Practices Enterprise (J. Ross Publishing, 2006). All are testaments to his commitment to helping leaders improve the ways in which they guide and shape their organizations.